It doesn’t really matter wherever in the world you come from, your background, your upbringing, your level of education. The circumstances for how you were introduced to – and then became a lifelong devotee of – this fabulous art form we call jazz is as different for one fan as it is for the next. It was an early morning, chance encounter on radio as a teenager when I got hooked. I had stayed up late listening to an extra-inning baseball game broadcast of the St. Louis Cardinals on KMOX radio. Not ready to call it a day, I began turning the dial. From my midwestern home in Sioux Falls, South Dakota, about the only thing I could pick up at that hour was static. But all of a sudden, I landed on the 50,000-watt station, KSL in Salt Lake City, Utah, just in time to hear the opening theme of host Wes Bowen and his “All That Jazz” program. What better exposure could there be for night owl novice who knew nothing about jazz than to hear the blues and those delicious block chords played by Red Garland? As it turned out, that opening theme song would serve just as a prelude to all the great jazz programming that would follow. In our household, music at that time was a pretty big deal, primarily because my grandfather, a clarinetist, had the distinction of performing with John Philip Sousa’s Marching Band. It was when “The March King” toured throughout the midwest that he used C.W. Smith as one of his pick-up section players. On weekends, there was kind of standing invitation for fellow musicians from the neighborhood to bring their horns and sheet music to our home and join with my grandfather in hours-long sessions. While in grade school, my parents bought me a King Silvertone cornet. Soon thereafter, I began studying classical music privately every week, and by my teenage years, was sufficiently adept to playing just about anything written on the scores in front of me. But then Wes Bowen and his “All That Jazz” program jolted me. By serving up the best of the swing stylists, big band leaders, plus bebop, cool and hard bop giants, his shows literally took control of my senses, instantly redirecting my musical outlook. From then on, I took every opportunity to tune in. I began memorizing all the names – Art Blakey and the Jazz Messengers, Count Basie, Horace Silver, Sonny Rollins, Ray Bryant, George Shearing, Dexter Gordon, Thelonious Monk – and their tunes. And I began searching out, and buying their records. As for Red Garland, it was many years later – well past his glory days with the original, most famous Miles Davis Quintet featuring tenor saxophonist John Coltrane, bassist Paul Chambers and drummer Philly Joe Jones – when I finally got the opportunity to visit with and photograph Red, who remains as one of my all-time favorites on the piano. 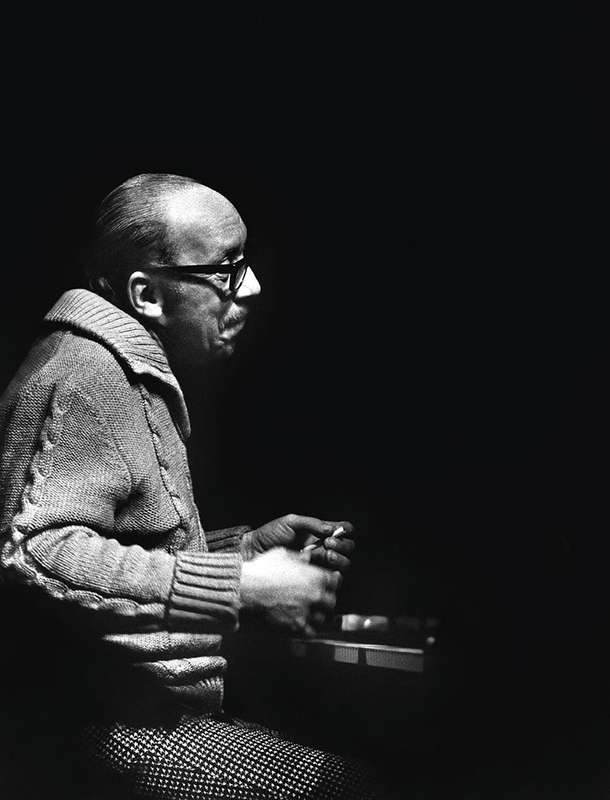 He did nothing flashy, and used such a narrow range of the keyboard; but to me, Red Garland – with his overall feel and those husky two-handed chords – was simply without peer. What an introduction to my life in jazz!